"What is your ERP solution NOT doing for your organization?" 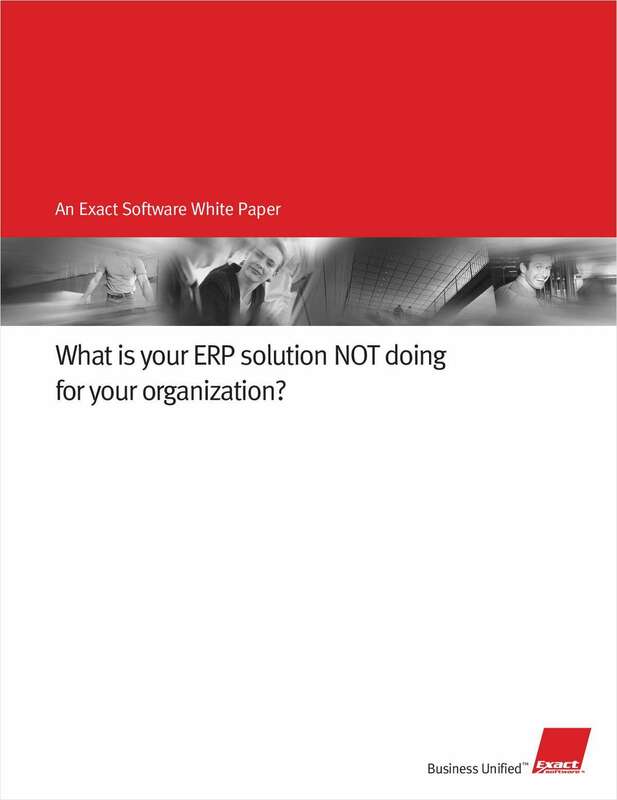 Free White Paper: "What is your ERP solution NOT doing for your organization?" This white paper examines where ERP has fallen short and reveals how new technologies can help close the gap between vision and reality.